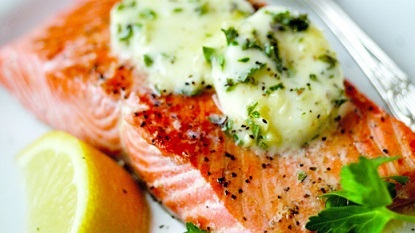 You can use the same ingredients and oven-roast your salmon fillets or salmon steaks if you prefer. I love the fish prepared either way, especially when topped with this lemon herb butter. I also buy only wild, natural salmon. Read the article for my reasons for doing so. Preparation time: 10 minutes. Serves 4. Salmon continues to cook after being removed from the grill (or heat). Cook salmon just until it begins to change color and becomes flaky. To check for flakiness, insert the tip of a sharp knife near the bone or at the thickest part of the salmon and pull slightly. Remaining butter will keep several weeks in the freezer! Add some grilled seasonal vegetables or some oven roasted potatoes and vegetables to accompany your delicious restaurant grilled salmon recipe or oven roasted salmon for a fabulous meal! Oh ... you should have a tasty and nutritious salad recipes, as well. 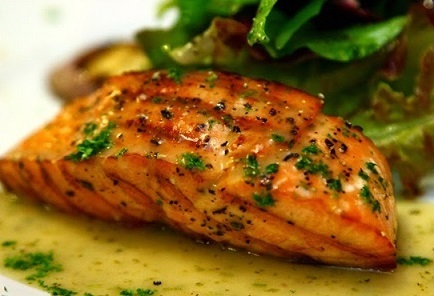 Enjoy your grilled salmon recipe and all the restaurant recipes on the website and the company of those you share with! "Your meal will be out shortly. 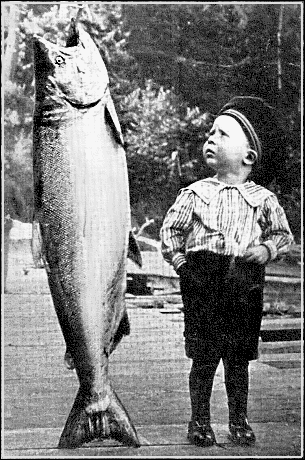 The wild salmon was wilder than anticipated." Unnamed restaurant server to guest.